THE B-MOVIE NEWS VAULT: STOCK YOUR VAULT: New DVDs & Blu-rays for 03/20/2018! STOCK YOUR VAULT: New DVDs & Blu-rays for 03/20/2018! Well Vault Dwellers, March is coming to a close, and while it came in like a lion, it seems like it is going out like a lamb. This week there's a few major studio titles (DOWNSIZING and JUMANJI: WELCOME TO THE JUNGLE) plus some worthwhile releases from several of our favorite labels. Arrow Academy gives Robert Altman's IMAGES its Blu-ray debut, Scorpion Releasing gives Michele Soavi's THE CHURCH a nice HD release, Well Go USA unveils their remastered ICHI THE KILLER, and Kino Lorber drops OFFERINGS on Blu-ray. It is also worth noting that Warner Archive Collection has brought the 1957 creature feature THE BLACK SCORPION to Blu-ray today as well! While that's definitely a good mix of stuff to choose from, Shout! 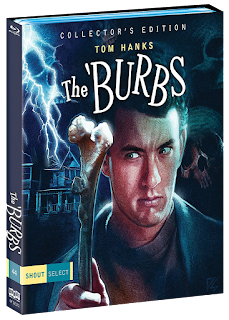 Factory's sister labels, Scream Factory and Shout Select, conquer this week with the Blu-ray debuts of NIGHTMARE AT NOON, ROCKULA, and THE 'BURBS (COLLECTOR'S EDITION)! 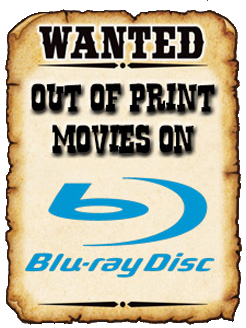 There's not much else to be excited for, but feel free to scroll down to see all of this week's new DVDs and Blu-ray discs!